Billion Baby Turtles supports efforts to protect important sea turtle nesting beaches around Latin America. Billion Baby Turtles supports sea turtle conservation organizations that work to protect sea turtle hatchlings across Latin America. The funds go towards paying local residents to patrol important turtle nesting beaches, protecting turtles that come up to nest, and ensuring that the eggs are protected. 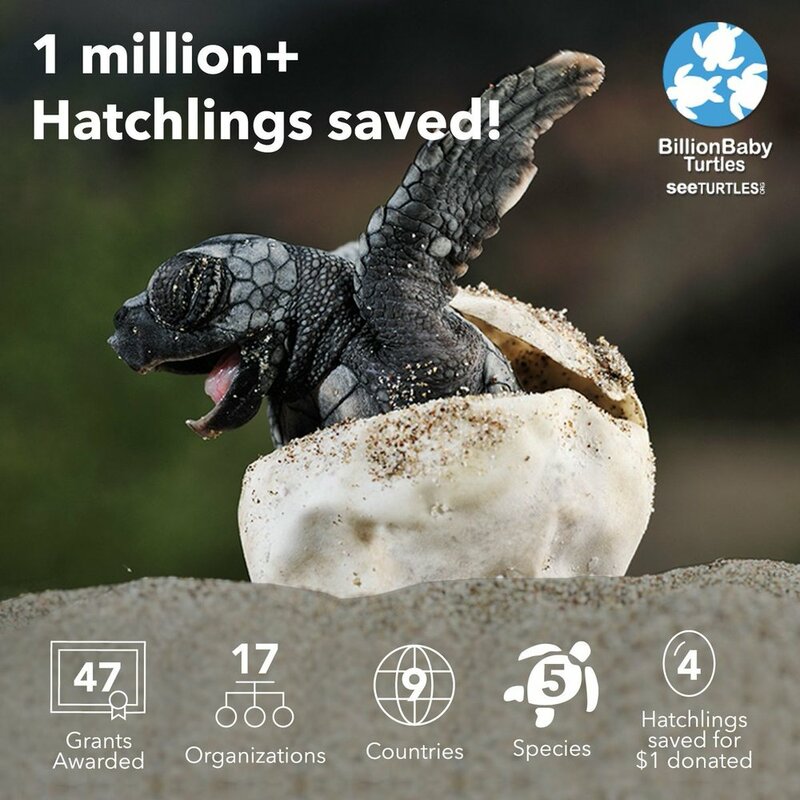 To date, we have saved more than 1 million hatchlings at important nesting beaches! How Does Billion Baby Turtles Work? SEE Turtles raises funds for turtle hatchling conservation from individuals, school fundraisers, green businesses, and commissions from our sea turtle tours. The funds are used to cover the costs of hiring local residents to patrol turtle nesting beaches and protecting the turtles and their nests. On average, we have helped save 10 hatchlings for every $1 donated. This funding goes to community-based turtle organizations at key nesting beaches. In addition, the funds are used to build and maintain hatcheries where the eggs are protected until they hatch and are released to the ocean. Check out our partners here. We are starting with our current partners whose work we know intimately and we prioritize nesting beach projects that are newer (less than 5 years old) with less stable sources of funding and more immediate threats like poaching. Learn more about threats to sea turtles here. Will You Really Save A Billion Hatchlings? A billion is a very big number. We will ever reach it? Who knows, but we feel that an ambitious goal is important and that the title will help to draw more attention--it already is! We do know that we can save hundreds of thousands of turtles per year and grow that number every year. We have already saved more than 1 million hatchlings! How Much Do You Keep For Administrative Costs? We send at least 90% of donations to our partner nesting beaches. 10% goes to administrative costs like credit card processing fees and covering staff time. More questions about Billion Baby Turtles or SEE Turtles? Contact us here.